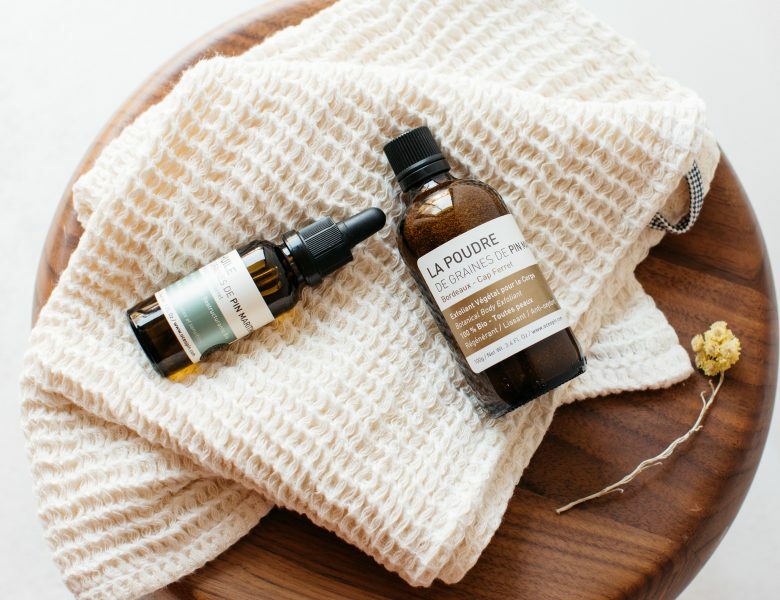 Our elegant, customised gift sets contain two or three premium organic care products with maritime pine seed oil® for the face and body. Ideal as a present, conditioned in a telescopic box with an attractive pouch. 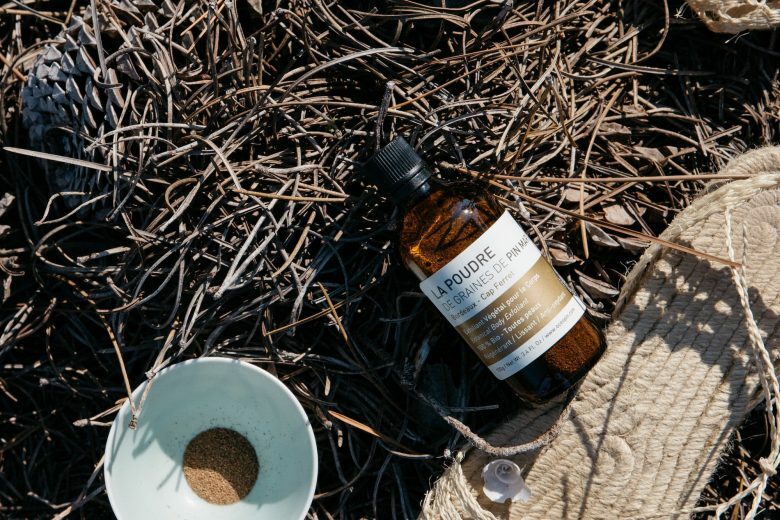 Fully organic, iconic duo set for face and body care based on the proven virtues of maritime pine seed. Three providential organic products for your face and body - best sellers of the brand. 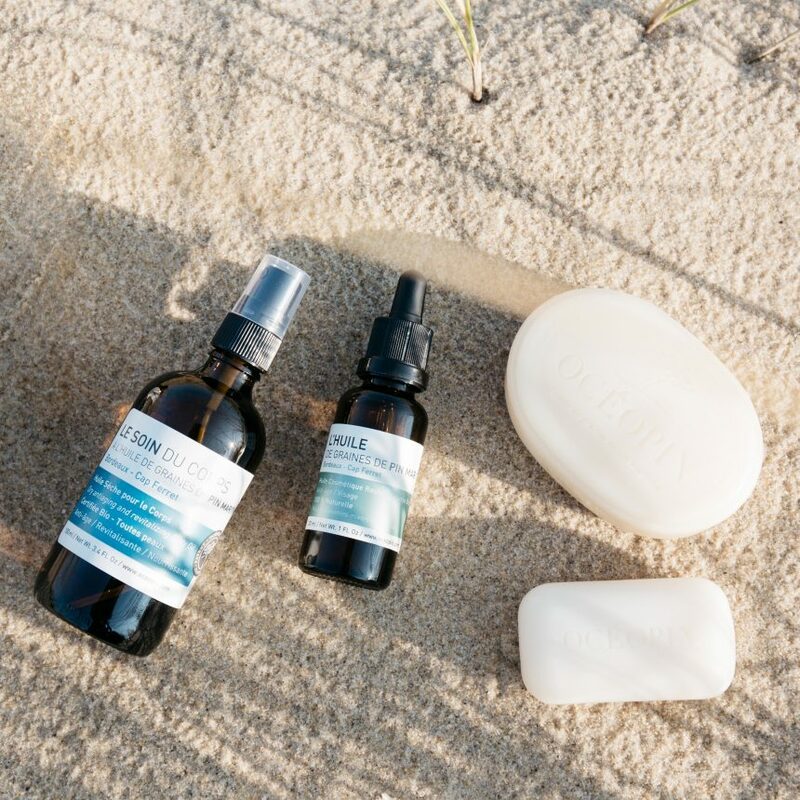 Three organic skin-glow products with the fragrance of pine forests and Atlantic dunes for your face and body. Create your own magical new beauty ritual by combining the subtle delicacy of celadon with Océopin body powder. 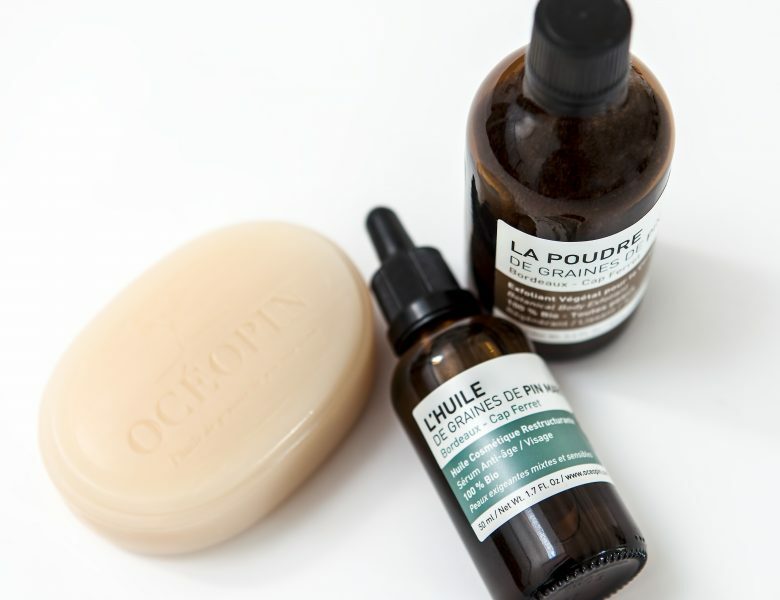 Three organic products for your face and body. The set is a perfect way to give you beautiful skin. It should be borne in mind that the confidentiality of any correspondence via internet cannot be guaranteed and every internet user should therefore take all appropriate measures to protect his / her data and / or software from exposure to any viruses circulating on the web. All text, comments, works, illustrations and images displayed on the oceopin.com website are protected worldwide by copyright, brands and patents, including as intellectual property. They belong exclusively to OCÉOPIN. In this regard, in accordance with the French Code of Intellectual Property, private and personal use of these items is only authorised subject to the specific and more restrictive provisions of the aforementioned Code. Any partial or complete reproduction of the oceopin.com website is strictly forbidden. Users wishing to establish a link on any website to the oceopin.com site must request prior written authorisation to do so from OCÉOPIN. oceopin.com undertakes not to divulge to any third party the information you send. This information remains confidential. It will only be used by our business to process your order and to enhance and customise communications, especially in the oceopin.com newsletters that customers choose to subscribe to.